Badger Contesters Online - The Badger Contesters is a club of like-minded hams who are interested in VHF/UHF/SHF weak signal communications. Our geographic focus is Wisconsin, however hams in Northern Illinois, Michigan's UP, and Eastern Minnesota are welcome to join us. 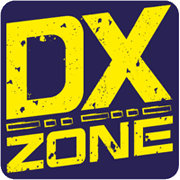 Ukrainian HF portal - Ukrainian radioamateur on HF: DX News, Contesting, Propagation, Conference, Photo, Radioamateur Map, Online Logs etc. Kenwood TS50 web control - This is an academical project to control my TS50 from the web.You can of course listen live real time audio. It is not 24 hours/day ONLINE, but click on the link to know if its connected. WEB SDR - ROME - Listen to the online web sdr in Rome Italy. A kiwisdr project using a vertical antenna and dipoles for HF bands. Proppy Online HF Propagation Prediction - Proppy: Online HF propagation predictions using the ITU Recommendation P.533-13 Propagation Prediction Application.